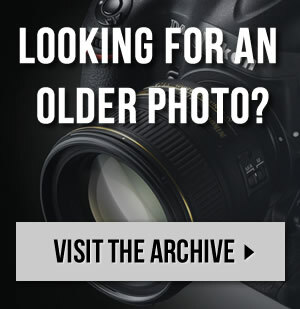 Sami’s FPV (Ford Performance Vehicles) F6 has come a long way since purchased new back in 2005. A steady stream of modification has continued to the point where this car is a genuine power house. 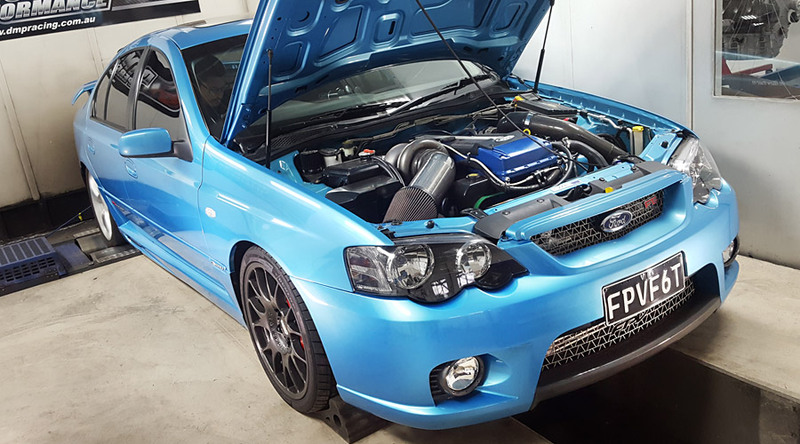 We spotted the car at Dyno-mite Performance while it was receiving it’s finishing touches before heading to MotorEx where it was on display on the Haltech stand. 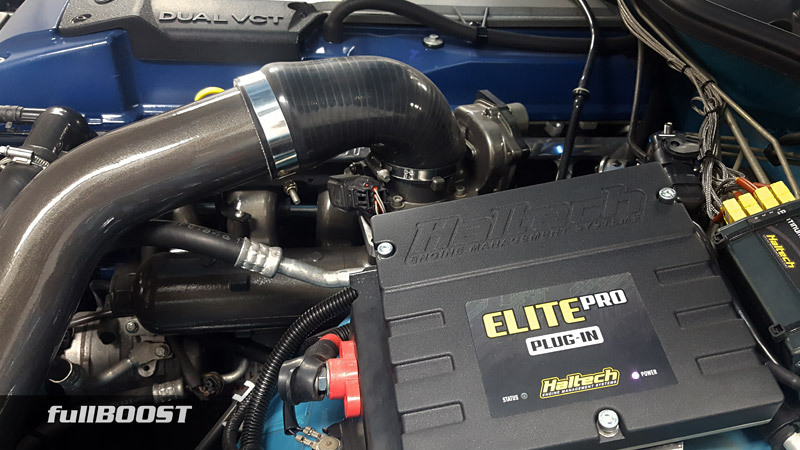 This Ford is one of the first to receive Haltech’s new to market Elite Pro Falcon plug ‘n’ play management system, meaning it plugs directly to the factory wiring harness yet has all the features you’d expect such as closed loop boost control, afr correction and engine protection just to list a few. The 4L Barra six houses an Atomic forged bottom end with Dyno-mite spec’d cams and valve springs. 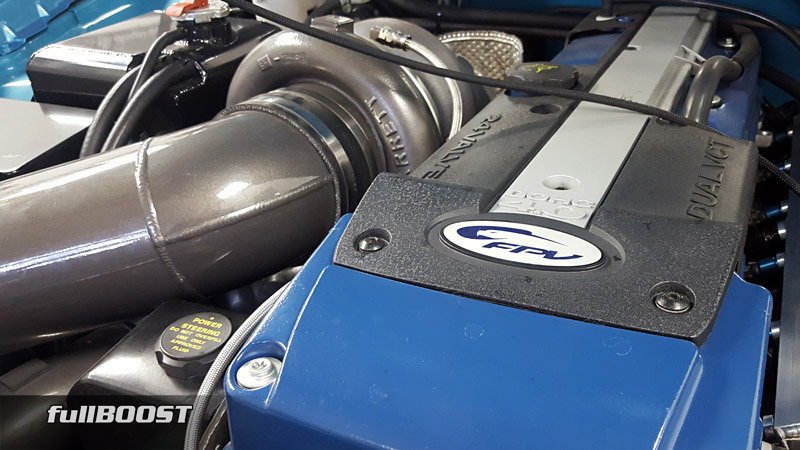 Feeding 35 pounds of boost is a Garrett GTX42 turbocharger.